Big games require big performances with big moments. If Vancouver Whitecaps’ showing in Portland this weekend is an indication, then the team look to have the stomach for the battle ahead. 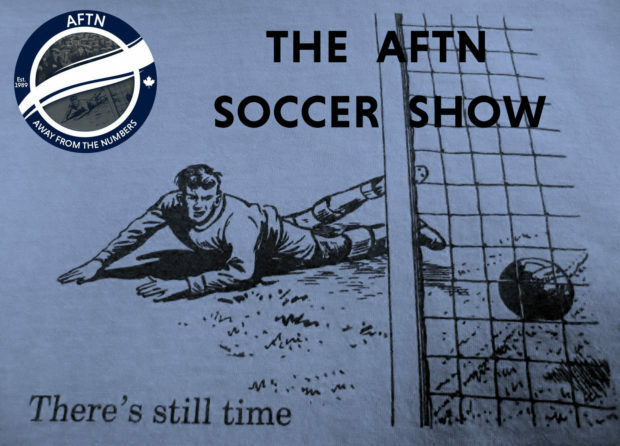 There’s a lot to talk about and we have five of AFTN’s finest to do just that, all of them from various places around Cascadia. With Steve home alone in upper Cascadia, and Zach stuck with a broken down car in middle Cascadia, Michael joins on the phone from the lower Cascadia coast to look back at the ‘Caps fantastic win against the Timbers. A strong defensive team effort was on show and the guys break it down, with the help of some audio from both head coaches. Joe and Nick are in the house, their own one, not the studio, to bring their preview expertise to the show and look ahead to what is set to be a dramatic Canadian Championship final second leg in Toronto midweek. The ‘Caps head in as the underdogs, but every dog has its day, so can Wednesday be the Whitecaps one? All this, plus we hear from Stefan Marinovic after the win in Portland, look at what the ‘Caps lack of spending in this transfer window may mean, Zach joins Steve to look at the weekend’s action around MLS West and Argy Bargy feature in this week’s Wavelength.